A tense scene unfolded yesterday as user-generated, music-streaming service SoundCloud held an all-hands meeting to explain to employees why it suddenly had to lay off 40 percent of its staff last week. Exiting team members wanted to know why they weren’t warned, while those who survived the cuts wanted assurance that the cost reductions would keep the company afloat for the long-run. That seems to conflict with the statement Ljung released alongside the layoffs, which noted that, “With more focus and a need to think about the long term, comes tough decisions.” The company never mentioned how short its cash would still last. We reached out to Ljung and SoundCloud for this story and PR responded to the request reiterating Ljung blog post. After being presented with the leaked information from the all-hands, SoundCloud PR admitted that, “We are fully funded into Q4,” though it says it’s in talks with potential investors. 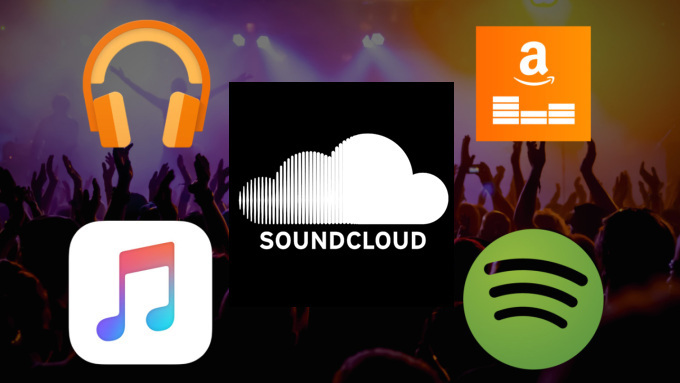 SoundCloud holds one of the most differentiated products in streaming music thanks to its repository of user-created songs uploaded by amateur and semi-professional musicians. That content, including unofficial remixes and hour-plus DJ sets, is missing from the top streaming competitors like Spotify and Apple. At the same time, this content comes with copyright problems and SoundCloud has had trouble monetizing it. Despite the startup’s financial troubles, Ljung told those in attendance at the all-hands meeting he was adamant about SoundCloud staying independent and there’s no intention to sell the company. That hesitation may have cost a lot of people’s jobs. One of the facts that was most frustrating to SoundCloud staff was that the company continued hiring people into positions that would soon be eliminated, with some workers joining SoundCloud as little as two weeks before the layoffs. Several new hires had quit other jobs, sold their homes, abandoned rights to permanent residency and uprooted their lives in other countries to join SoundCloud’s Berlin office. During the all-hands, both sources say it was revealed that SoundCloud had known for months that it had to lay off a large number of people, yet didn’t properly inform the team that it should be cutting costs. “The investors said [the wave of layoffs] was part of the conditions” one source said were in reference to the $70 million debt funding SoundCloud received in March from Ares Capital, Kreos Capital and Davidson Technology after it failed to raise $100 million in venture funding. A core question from staff during the all-hands was why there wasn’t transparency into the finances or a strict hiring freeze. The message from management was that a hiring freeze would show weakness and lead to people asking questions. That wasn’t satisfying when the company ended up shedding almost half its staff. Growth of SoundCloud’s subscription services also hasn’t been worth announcing, but the company plans to change its focus. SoundCloud has a free tier with ad-supported access to 120 million songs, largely from lower-quality independent artists. Its $4.99 per month SoundCloud Go subscription removes the ads and offers offline listening. And its $9.99 per month SoundCloud Go+ tier adds access to 30 million premium songs from big-name artists like what you’d find on Spotify or Apple Music. 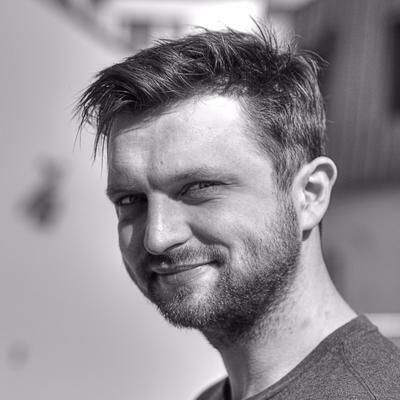 In the all-hands, both sources say Ljung discussed SoundCloud getting back to its roots by prioritizing its open creator platform and the mid-tier Go subscription plan, rather than focusing on Go+ and the mainstream music of major record labels. Like other streaming services, SoundCloud has to pay a huge percentage of revenue it earns off Go+ premium songs to the record labels. Spotify pays out around 70 percent, for example. Its margin is much better on the user-generated music uploaded to its service. Only a small percentage of creators is eligible for ad and subscription revenue share payouts from SoundCloud, and it pays them a much smaller cut than it does to labels for premium music. Even at half the price of Go+, the higher-margin Go tier subscriptions could earn SoundCloud sizable revenue. This plan has a chicken-and-egg problem, though. SoundCloud needs enough subscribers and ad listeners so payouts are high enough to lure the best artists who aren’t on major labels. But it needs the best artists’ content in order to seduce those listeners. Meanwhile, its free tier works fine for most occasional listeners, so beyond synced downloads and skipping a few ads, there’s not much reason to upgrade to $4.99 per month. And the recent layoffs make everything tougher. Our sources say there were deep cuts to the revenue/monetization and creator relations teams. Beyond closing the San Francisco and London offices, there were significant layoffs in the New York office. The planned rollout of SoundCloud Go subscriptions in South America may be delayed, though some staffers are unsure it will happen at all. Royalty distribution platforms like Dubset threaten to make some of SoundCloud’s most unique content like remixes and DJ mixes available on Spotify and Apple Music. Those services have continued to rapidly grow thanks to sleek and frequent redesigns while SoundCloud’s clunky interface falters. “Even at SoundCloud, people secretly listen to Spotify because it’s easier,” one employee said. Can the internet’s record collection be saved? After 10 years and raising well over $200 million, SoundCloud has failed to build a sustainable business off “the YouTube of music.” Trimming the fat hasn’t necessarily made it fit. If SoundCloud wants to survive, it may need to accept that it should sell to some more established company that could do better managing and monetizing it. YouTube grew into a content juggernaut, but it might never have made it that far without Google’s help. It would need to find as supportive a steward. [Update 7/13: SoundCloud has clumsily attempted to refute this article by issuing a statement to Variety saying our post contains “extensive inaccuracies”, yet its supposed ‘corrections’ simply repeat what we did publish, and refute something we didn’t publish. The fate of the world’s biggest collection of bedroom remixes, garage recordings, living room podcasts, basement DJ sets and all other manner of home-made sound is at stake. The death of SoundCloud would be a sad blow to the independent musicians who are scraping by as it is. And the sale to an exploitative corporation that sees music as at best a side hustle and at worst a loss leader could ruin this canvas for sonic creation.